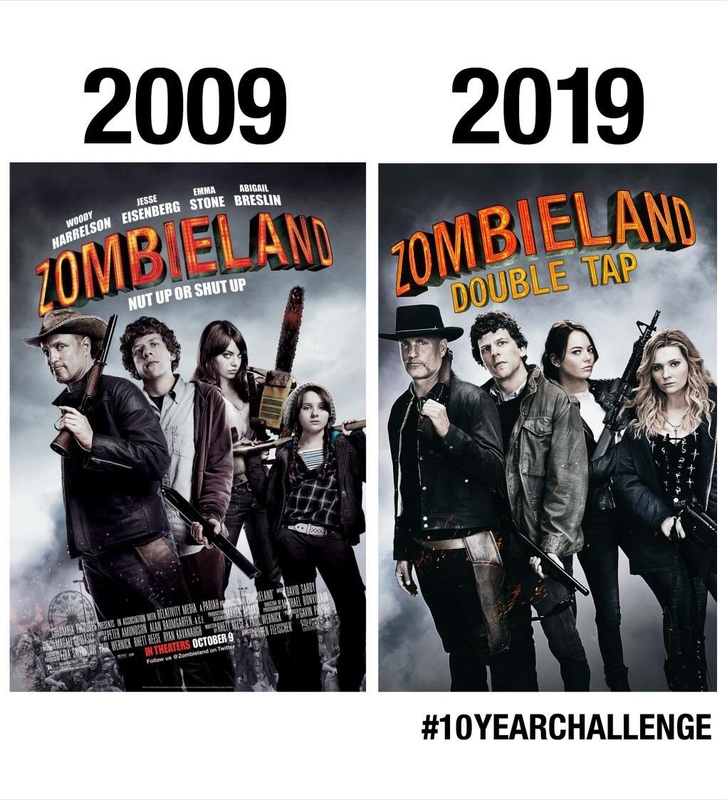 Wonderful news surrounding the zombieland sequel which has joined in on the 10 year challenge and posted pictures side by side. Look how much Abigal Breslin has grown. Almost taller than Emma Stone. Emma Stone, Woody Harrelson, Jesse Eisenberg, and Abigail Breslin are all reprising their roles, with Zoey Deutch, Avan Jogia and Rosario Dawson joining. Zombieland: Double Tap is coming in theaters THIS OCTOBER. Zombieland 2 filmed in secret?